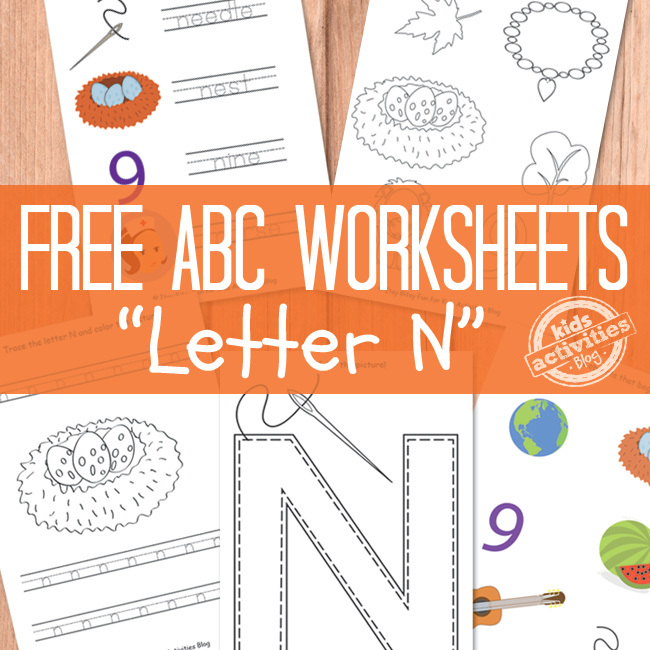 Next in line are letter N worksheets! Can you believe it we are already half way through the alphabet! Learning to write is a lot easier with the help of handwriting worksheets and cute pictures even make it fun for the kids! 1 page of tracing words (starting with letter N). 2 pages of N beginning sound activities – one page to color the images of objects that start with N and one to circle the correct images. 1 letter N coloring page. 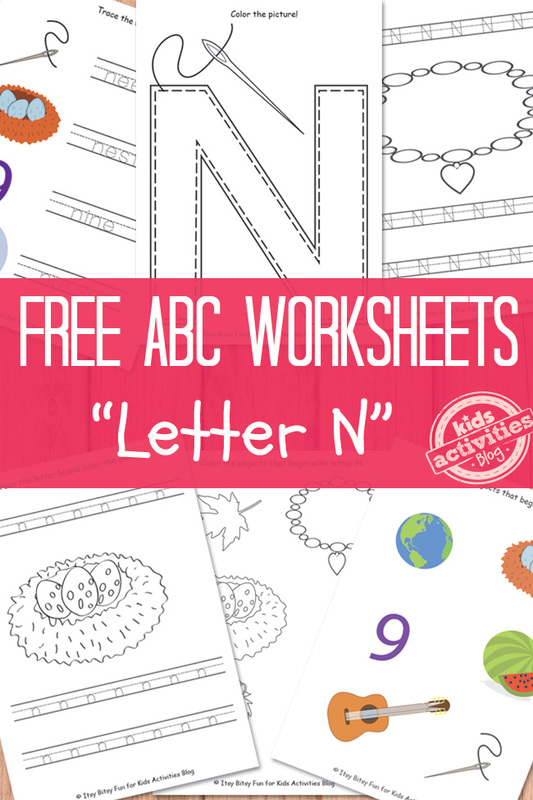 Be sure to check all other letters in our growing alphabet worksheets collection. If your kids are ready to take on numbers in a fun way grab these printable princess dot to dot pages. If you are looking for more words to trace be sure to check the ocean coloring pages and weather coloring pages. Previous Post: « There Is A Ball Pit For Adults! !